This high-speed quad is the only lift on Goat’s Eye Mountain at Sunshine Village, a peak which could eventually be home to four lifts. 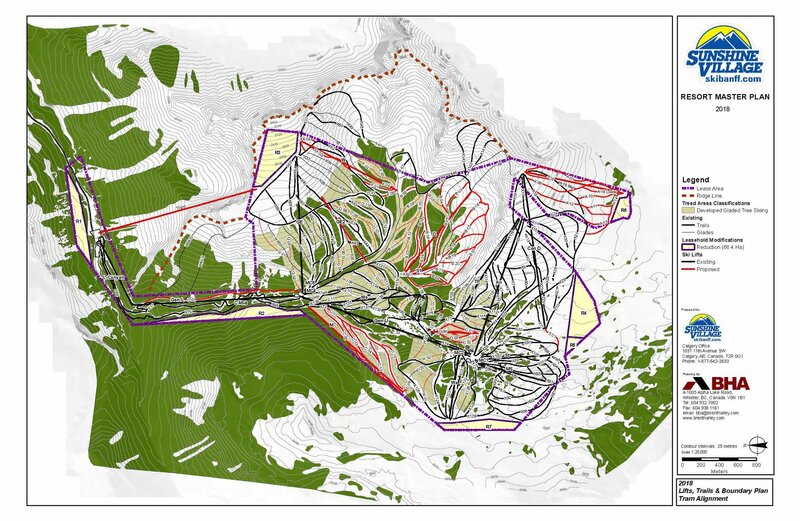 I wrote briefly a few weeks ago about Parks Canada’s proposed site guidelines for Sunshine Village, the second largest ski resort in Banff National Park. 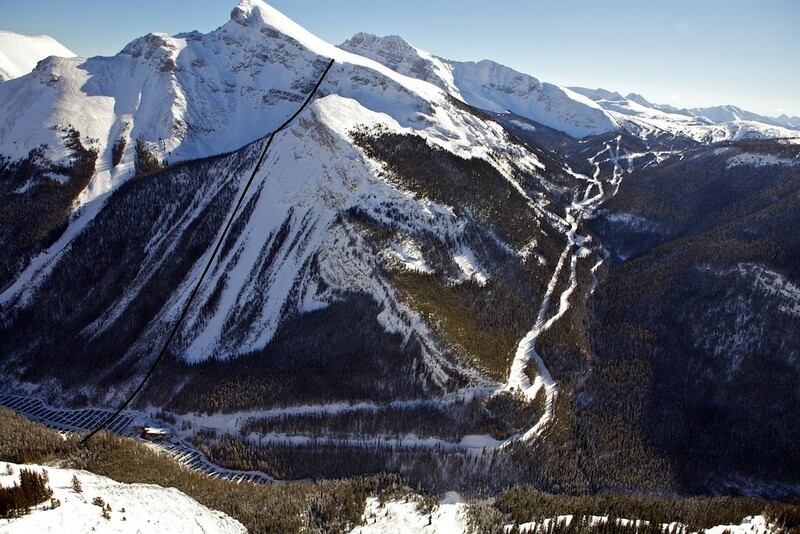 Banff Sunshine operates a unique gondola and nine quad chairlifts within a UNESCO World Heritage site surrounded by spectacular scenery – the only resort to span two Canadian provinces. This document will govern the public-private partnership between Sunshine Village Corporation and Banff National Park through 2060. Currently, Sunshine’s capacity is capped at 6,000 skiers, though Sunshine says it only has enough parking for 4,500. The future could allow for more visitors – but exactly how is up for debate. Site guidelines Parks Canada proposed last month set a new skiers at one time figure of 8,500 at build-out compared with the 11,500 settled upon at Lake Louise and 3,800 at nearby Mt. Norquay. Sunshine says it “reluctantly” agreed to the 8,500 number a few years ago even though the resort could theoretically reach 12,900 persons at one time (PAOT). The new Parks Canada plan includes a gondola reliever lift as well as three new lifts in Lower Meadow Park, Hayes Hill and Goat’s Eye II, areas which currently sit within the Sunshine lease area. A gondola or tramway could reach the top of Goat’s Eye Mountain with just one tower. But Banff National Park does not currently support this idea. 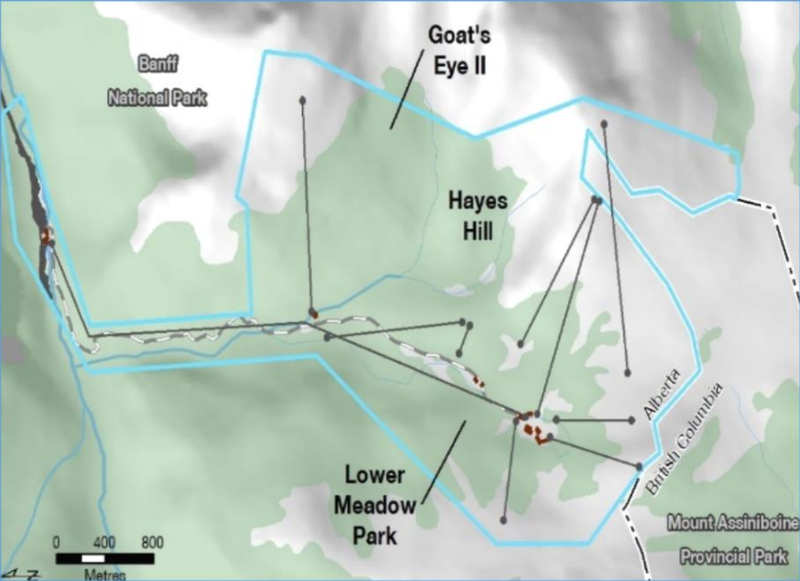 In June, Parks Canada proposed guidelines that would allow Sunshine to add Goat’s Eye II, Hayes Hill Express and Lookout Express lifts in the above labeled areas but which would remove terrain needed to build Goat’s Eye III, Wildside and Bye Bye Bowl lifts. This afternoon, Sunshine Village answered back, advocating for significant changes to the Parks Canada proposal. 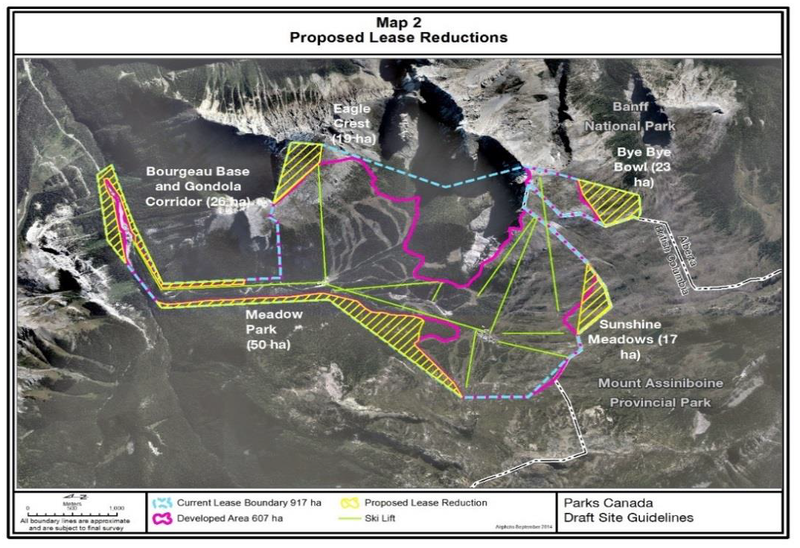 In addition to the three lifts mentioned above, Sunshine wants to be able to eventually build three more lifts in the Bye Bye Bowl (along the Continental Divide), Meadow Park (near gondola section III) and Goat’s Eye Wildside areas, which Parks Canada proposes to remove from Sunshine’s existing leasehold in the name of conservation. “Parks Canada is taking every hectare of land that is not currently being used and in exchange not giving us the reasonable things we need to balance to the 8,500 PAOT,” says the mountain resort. “This is over-reaching and not fair to skiers and snowboarders, or to the ski company.” Fundamentally, the two sides seem to disagree on how many new lifts are needed to serve 8,500 future skiers at one time. Sunshine proposes to vacate limited areas of its lease to compensate for new terrain development but says it needs to add six lifts to meet demand while maintaining a positive guest experience. A second point of contention is a reliever lift for the gondola. “We are the only major ski area on the continent that is dependent on one lift to access the resort,” says Sunshine’s new website. June Mountain in California and Silver Mountain, Idaho might disagree. The parks agency understands the need for a second lift but seeks something roughly parallel to the current gondola. Sunshine wants to build a tramway or gondola from its parking lot directly to upper Goat’s Eye Mountain. 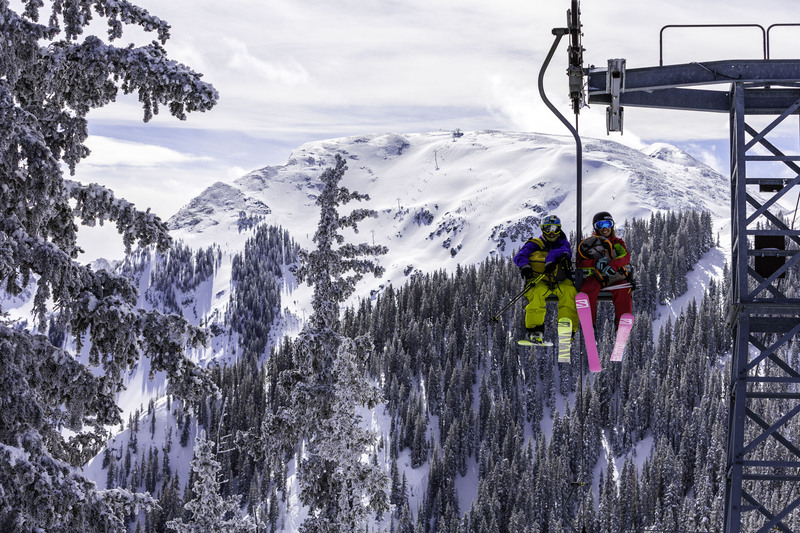 This lift could be built with just one tower and provide improved sightseeing opportunities in the summer compared with a 32-tower gondola or chairlift in the valley below. Further disagreements include possible parking solutions and a future volume of commercial space. The resort says Parks Canada’s plan is inconsistent with those agreed to with other resorts in Canadian national parks, namely Lake Louise, Marmot Basin and Norquay. 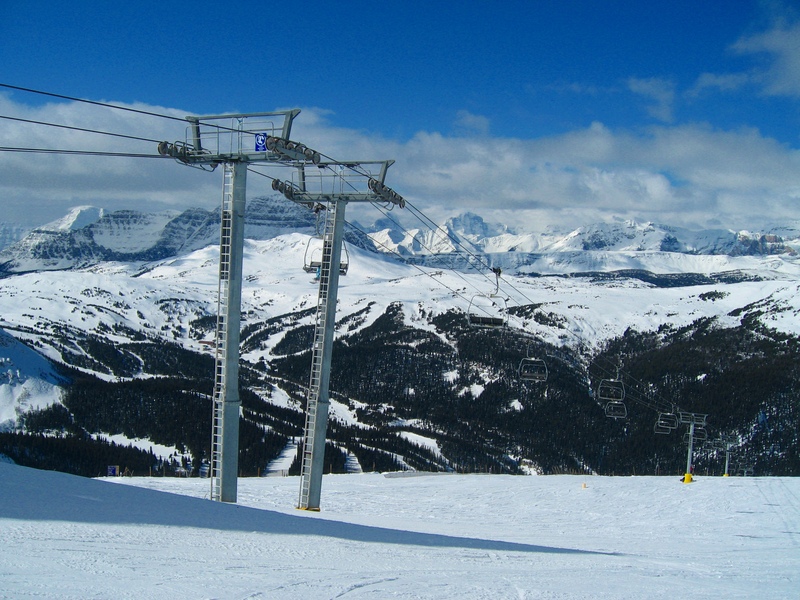 Parks Canada seeks to limit Sunshine Village Corporation’s leasehold while allowing new lifts only in key areas. I’m struck by how different the Parks Canada process is from the National Environmental Policy Act mechanism many American resorts navigate collaboratively with the United States Forest Service. To be fair, only four U.S. ski resorts operate in national parks – areas which are quite small and unlikely to ever try expanding further. Amazingly, Sunshine says it learned of Parks Canada’s proposed changes at the same time as the public just 60 days before the deadline to respond in writing – August 19th. “We know from the past that activist environmental groups will launch a nationwide campaign to oppose anything in the site guidelines that would accommodate even modest visitor growth, even though any facilities improvement would occur within the existing footprint of the Sunshine lease,” the corporation says bluntly. “We asked Parks Canada for more time for the public to comment but have been turned down.” As such, Canadian citizens have three weeks to weigh in online and help shape decades of changes at Sunshine Village. Next Article A Deal to Save The Hermitage? To be fair to Lake Louise, it’s disputable whether June Mountain and Silver Mountain could be considered “major”. Taos is now down to only one lift allowing access to the entire mountain. They removed the parallel backup lift that was ancient. Was it a Riblet double center pole? I’m pretty sure that Taos also has Lift 4. Don’t forget that both Boston Mills and Brandywine both operate within a National Park, which brings the total in the US to 4. Article updated to include those. Thanks Sam. Lake Louise’s site guideline? While Lake Louise gets a higher visitor cap, it doesn’t have the option for new lifts, unlike sunshine. Sunshine argues the process was carried out differently with the three other resorts and they are all being allowed to add new terrain while SSV is being forced to remove terrain from its leasehold. Actually my understanding is Louise will be adding two lifts on the backside. Lake Louise is going to do a lot more than that. On the front side, they’re looking at at three lifts, one of which would add new terrain. On the backside, they want to add a lift serving the upper back bowls. Then, they want to build two new lifts on the ridge opposite the backside (and trails to support them), and then build an additional lift on the backside of that ridge. In exchange, they gave up expansion around Larch Express. Three thoughts on this at the moment. 1. Louise has been given a lot more than Sunshine. Seems like Parks has something against Sunshine. The ecology of the high mountain meadows may be part of it, but still seems not really fair. I suspect part of this comes down to a history of an adversarial relationship between Parks and the ski hills. 2. I do not think Sunshine needs a second access for capacity. I have never seen lines on it except say 9-10 on very busy days. It is access only (mostly) so once people are up the mountain it never has lines. What they do need is a back-up. If they had a gear box failure like on Goat two years ago at Christmas they would be up an unnamed creak without a paddle. 3. Louise does need more front side capacity. The Gondi and lift can have crazy lines on the weekend, especially at 10am and 1pm when ski school creates a backlog. Marmot added Tres Hombres last year and is pursuing Outer Limits. Louise’s supposedly approved plan adds lift serviced terrain on lower Juniper, Meadowlark, West Bowl, Richardson’s ridge and Hidden Bowl. Norquay added Mystic Ridge in the 90’s. Sunshine’s existing lift system is great. The area falls down due to insufficient parking or lodge space. It has pursued a permanent lodge at Goat’s Eye for years. Of the proposed new lifts, Haye’s Hill (lower Delirium Dive) and Wildside (GE3?) would open up some interesting terrain. I was hoping that Sunshine would pursue leasehold expansion and service Twin Cairns (above Standish), extend Wawa to the summit, build a new lift from the Goat’s Eye base to another point on Wawa and build a gondola/tram from the parking lot to the top of Wawa. The two main things Sunshine needs, in my opinion, are a reliever lift for the gondola, and more intermediate below treeline skiing. It got a little cold during my visit, sending people scurrying to Wawa, since only it and Wolverine aren’t pretty seriously exposed. Is the opposition from Parks Canada to a tramway up Goat’s Eye over the visual impact? That seems like a logical place to add capacity, it’s a lot of terrain with comparatively little uphill capacity. Sunshine is taking its fight to the airwaves with this new TV ad. Can’t say I’ve ever seen a ski resort do that over a proposed expansion.